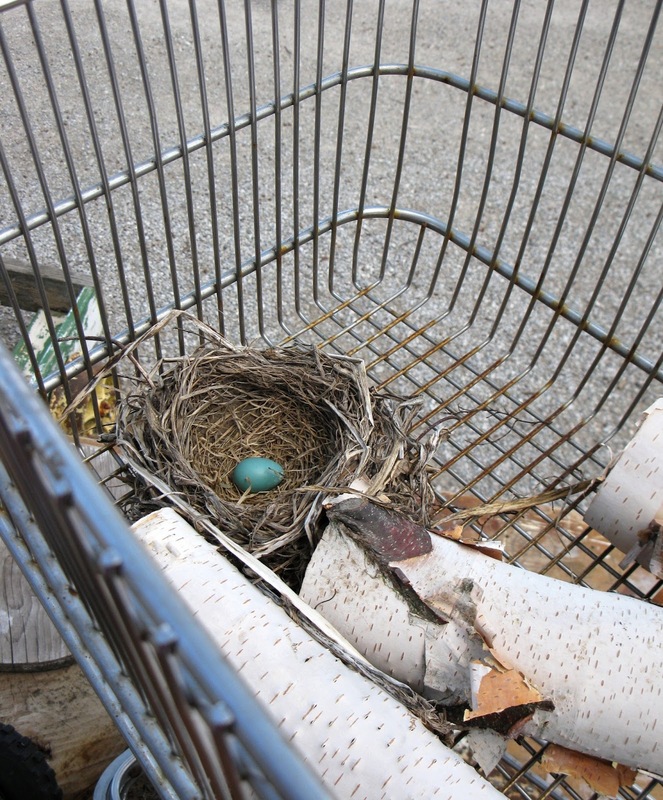 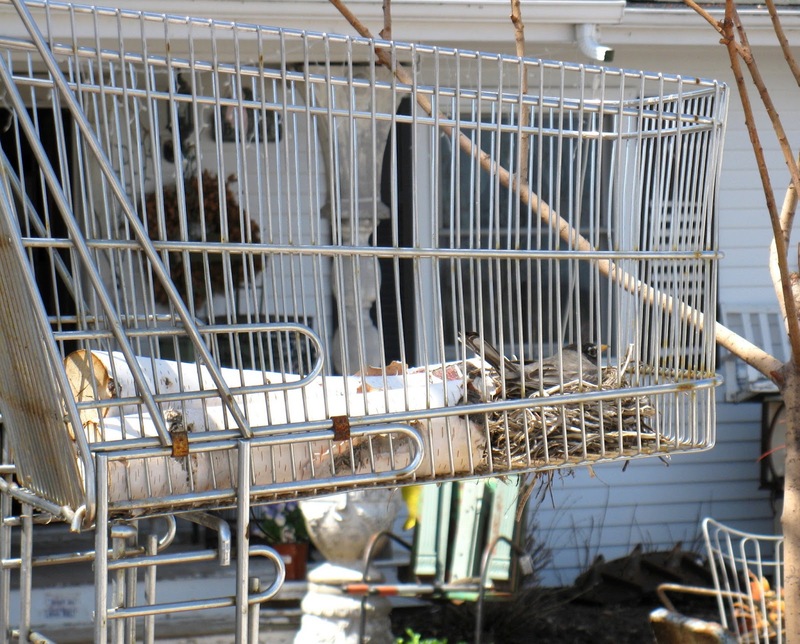 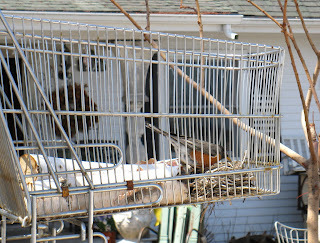 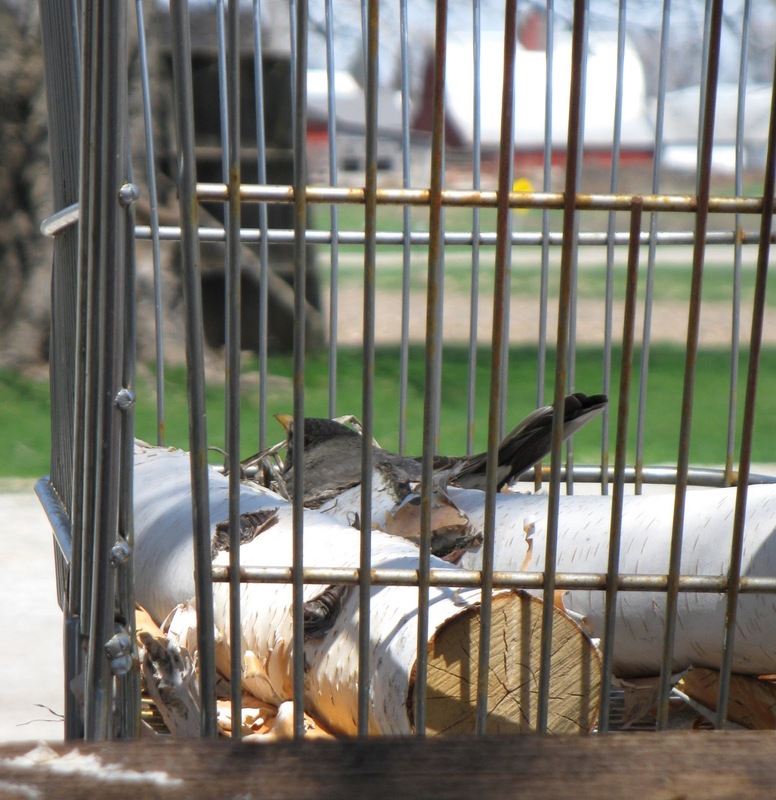 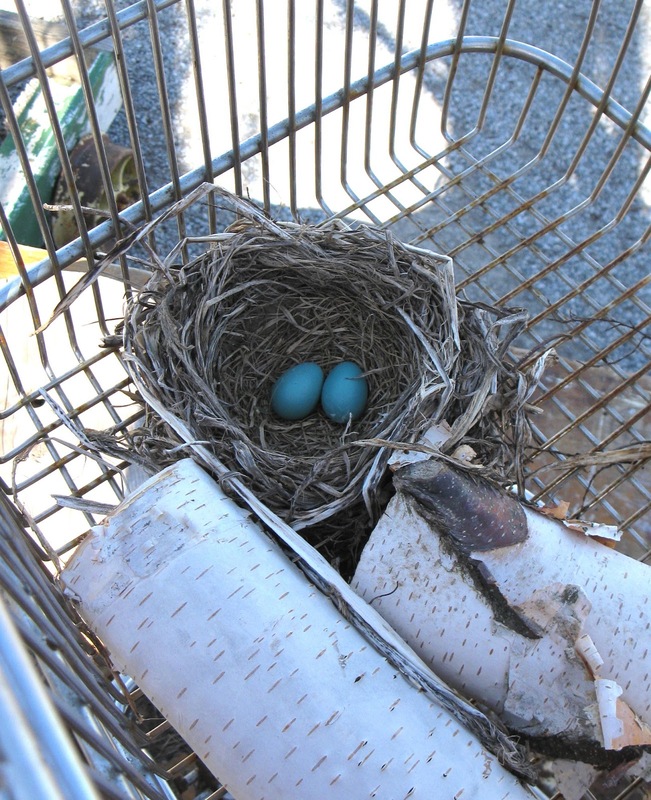 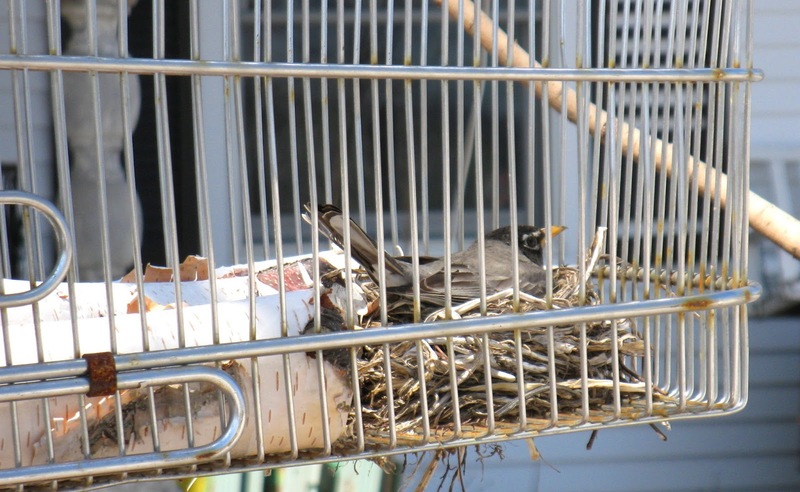 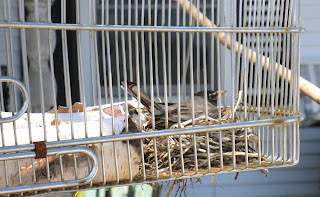 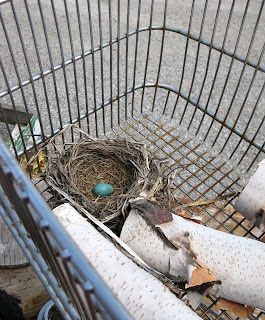 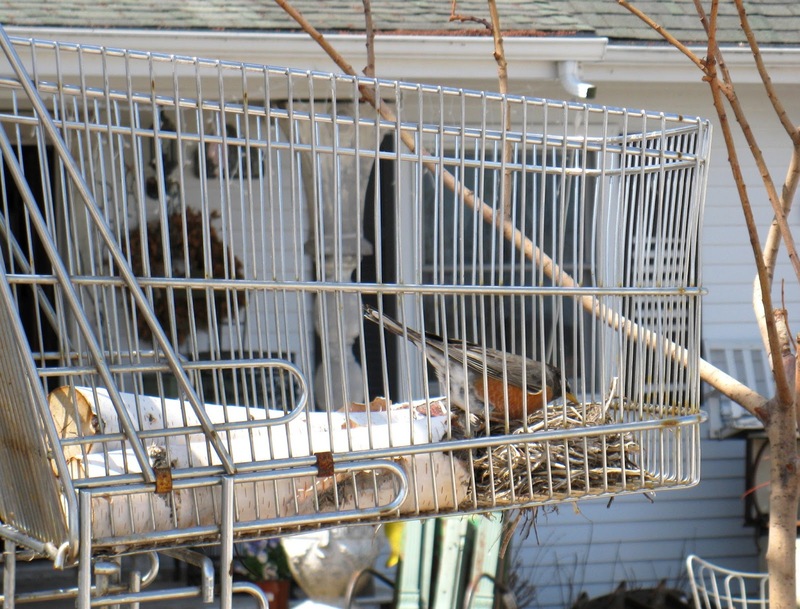 Making a nest inside a shopping cart?! 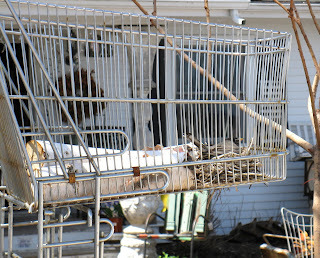 This family was thinking outside the box...we love it! 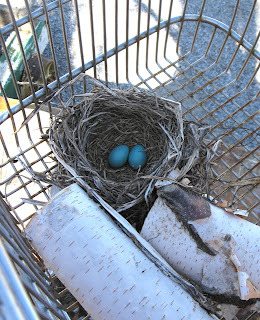 beautiful blue eggs - what a daring little bird!